The H. Milton Haggard Center for New Testament Textual Studies, founded in 1998, is a research center devoted to the study of the New Testament text in the Greek manuscripts. Dr. William Warren is the current director of the center, which is located on the campus of the New Orleans Baptist Theological Seminary. 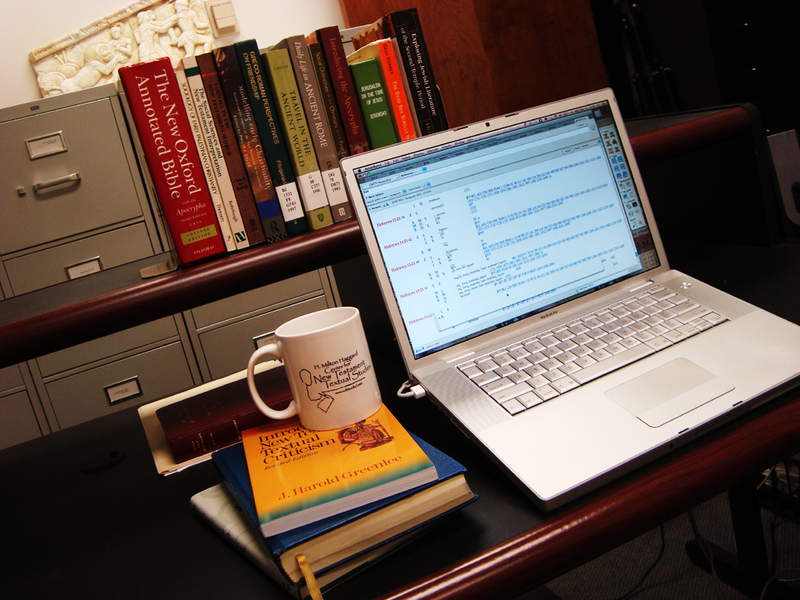 The Center (CNTTS) emphasizes the study of the Greek manuscripts of the New Testament, but other projects are also undertaken. The CNTTS houses a substantial collection of NT Greek manuscripts in digital, microfilm, and facsimile format with expansion of the current collection ongoing. Current facilities also include dedicated work stations, a study area, a reference library of major text-critical works, a microfilm reader-copier for utilizing the microfilm collection, and a database of manuscript evidence. On-site personnel include several research assistants, an administrative assistant, two project directors, and the director of the CNTTS. In connection with the CNTTS, numerous course offerings in the area of NT textual criticism (TC) are offered at NOBTS on both the Master's and Ph.D. levels. Inquiries about these courses are welcome. Also, while NOBTS does not offer a Ph.D. specifically in NT TC, the seminary does offer the opportunity for students in our NT Ph.D. program to acquire a substantial amount of specialization in the area and to write their dissertations in the area. The facilities of the CNTTS are available also to scholars on sabbatical leaves pending availability and the submission of a proposed study plan that is compatible with the purposes of the CNTTS. Inquiries may be made on the request form linked to this page. For further information on the CNTTS, we invite you to view the "General Overview" link to the left.